A dashing police officer like this one is always sure to wear a helmet when he's on his motorcycle. 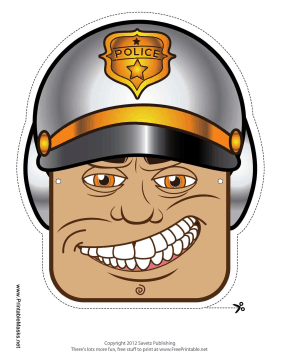 This motorcycle cop mask has a crooked grin, gold badge, and brown eyes. This mask is free to download and print.